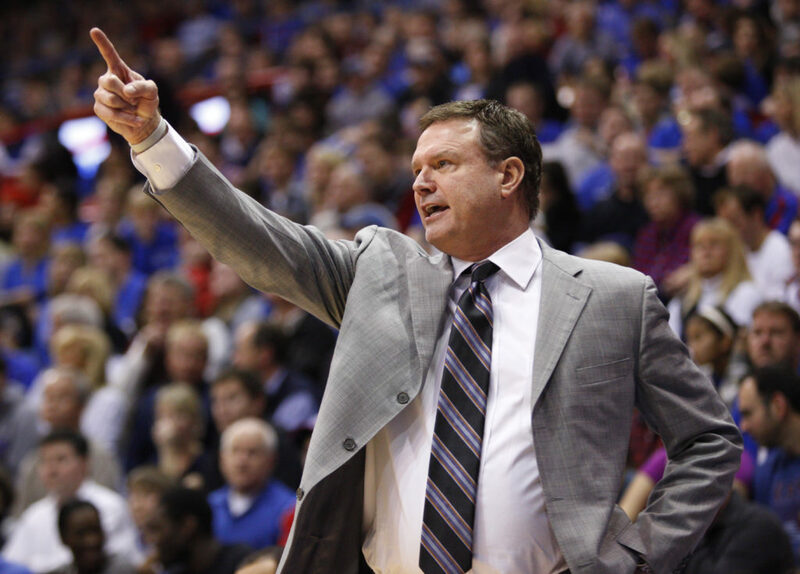 Kansas head coach Bill Self calls a play during the second half on Tuesday, Dec. 18, 2012 at Allen Fieldhouse. 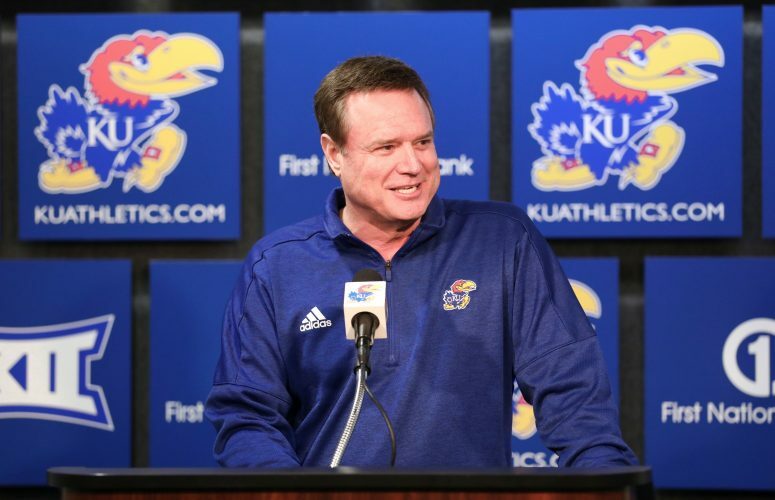 Bill Self knows fan interest is as great, maybe even greater this year than any of his previous 10 seasons as basketball coach at Kansas University. “I think I do sense more excitement from the season tickets, taking them all up. Usually we have to sell some individual game tickets to sell out, things like that. 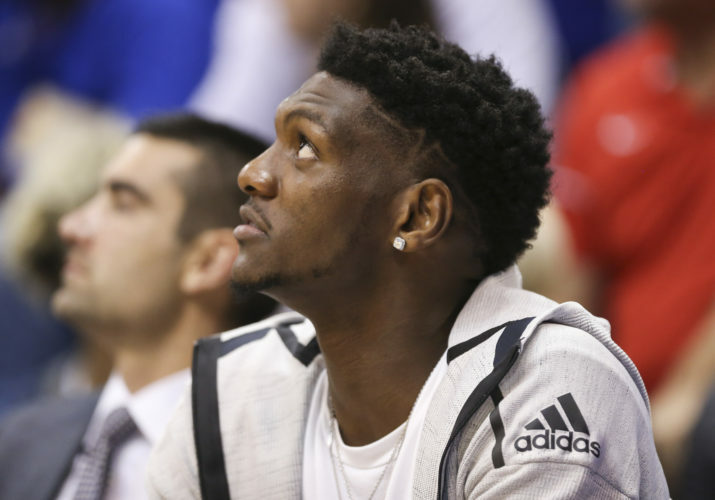 That’s not going to be the case this year,” Self said Monday on the Jayhawk Sports Weekly statewide radio program. 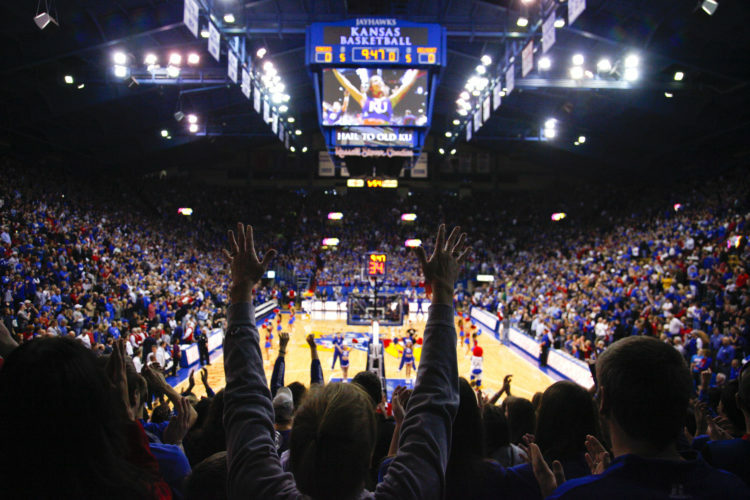 Indeed, all seats for games in Allen Fieldhouse were gobbled up in the recent Select-A-Seat program. 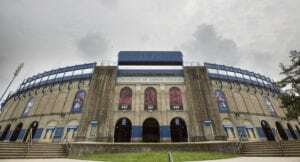 “There’s some anticipation without question,” added Self, who brought in a star-studded eight-man recruiting class that includes Rivals.com’s No. 1-rated player Andrew Wiggins and No. 12 Wayne Selden. 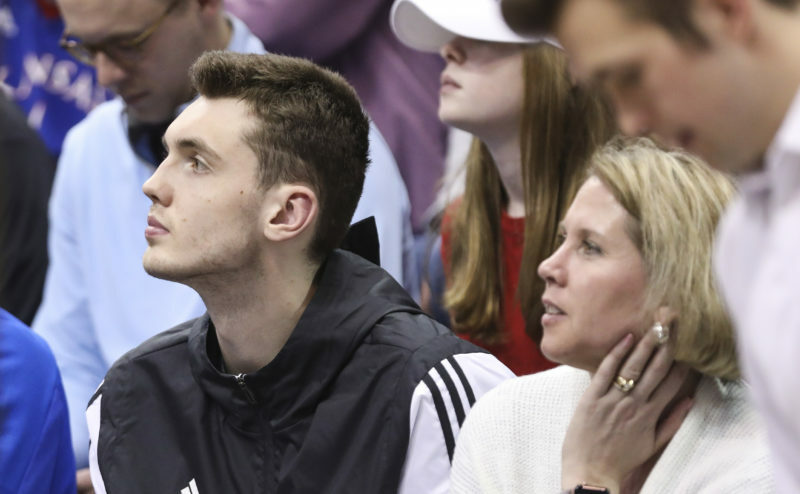 While stressing he is “very excited about working with these guys,” Self cautioned that the 2013-14 Jayhawks might have a tough time totaling as many victories of some of his recent Jayhawk powerhouse squads. “I told our coaches this: ‘Hey, this team has a long ways to go to win as many games as what the past teams have. I think we are averaging just south of 33 wins a year over the last seven years, right around there,'” Self said. KU the last seven seasons has averaged a whopping 32.57 victories per campaign. Self was asked to identify any players (besides Wiggins and Selden) who may have surprised him during two-hour-a-week workouts this past summer as well as last week’s two-hour session (allowed by the NCAA). “(Tarik) Black is good. (Conner) Frankamp shoots it about as well as anybody we’ve had in camp. Brannen Greene is long, skilled and really talented. It’s a good group,” Self said. 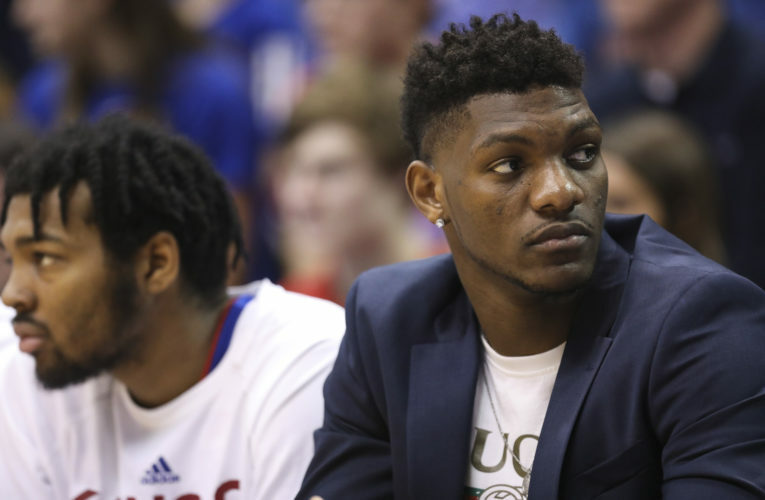 “I’d say the guys that have been the most pleasant surprise … I may say (Naadir) Tharpe, (Jamari) Traylor and (Perry) Ellis. I think those guys have probably played as well as anybody and they need to play well because there are certainly people right there biting at their heels so to speak to warrant playing time. “It’s going to be a fun year. There’s going to be a lot of competition in the gym. I am anxious to get started (Sept. 27),” he said. Self said, “no, no,” when asked if sophomore Ellis might be a forgotten man entering the season. “He’s not with our guys,” Self said. “I think there will be a great chance Perry could lead us in scoring. He’s improved so much. You said (mentioned) ‘Wiggins and Selden’ but trust me, Frankamp, (Joel) Embiid, Greene, Black and (Frank) Mason, those guys are good players, too. It was a nice recruiting class (including Hunter Mickelson of Arkansas who must sit out this season in accordance with transfer rules) and one in which Andrew I think was the cherry on the top so to speak. Those other guys are really good players. They’re just young. In nonconference, KU plays Duke in Chicago, travels to Florida and Colorado, meets Georgetown and San Diego State at home and New Mexico in Sprint Center. Also on tap is a trip to Battle 4 Atlantis tournament in the Bahamas in which KU opens against Wake Forest, then plays Villanova or USC in Round Two. “There are no ‘gimme games.’ There are no games, ‘Hey, let’s just show up and get experience tonight’ or ‘Let’s work on combinations.’ They are all games we are going to have to play to win. We’re going to get everybody’s best shot,” Self said.